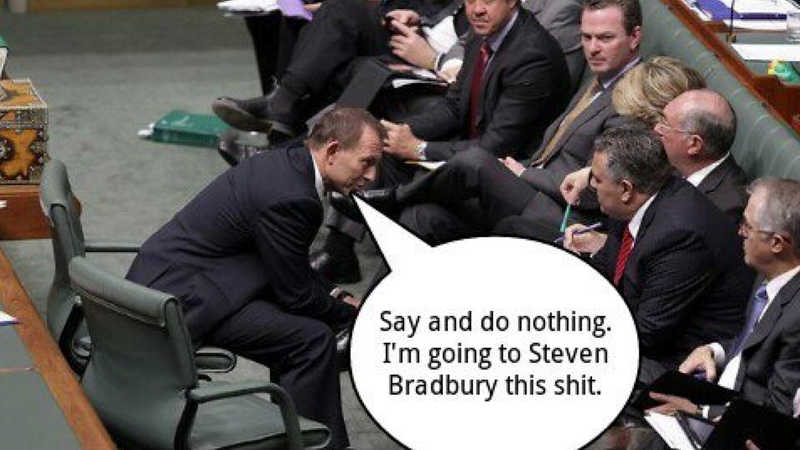 It's been an interesting week for the Australian Labor Party. The leadership challenge from Kevin Rudd and the discussion that has been generated by it provide some interesting lessons for startups. 1. 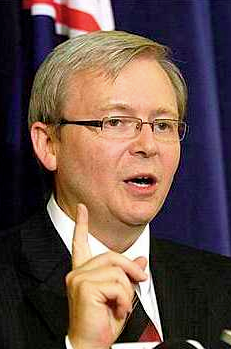 Lessons from Kevin Rudd - management style is critical to keeping your team on board. "The truth is, Rudd was impossible to work with. He regularly treated his staff, public servants and backbenchers with rudeness and contempt. He was vindictive, intervening to deny people appointments or preselections, often based on grudges that went back years. He made crushing demands on his staff, and when they laboured through the night to meet those demands, they received no thanks, and often the work was not used. People who dared stand up to him were put in "the freezer" and not consulted or spoken to for months. The prodigious loyalty of his staff to him was mostly not repaid. He put them down behind their backs. He seemed to feel that everyone was always letting him down. In meetings, as I saw, he could emanate a kind of icy rage that was as mysterious as it was disturbing. He governed by - seemed almost to thrive on - crisis. Important papers went unsigned, staff and public servants would be pulled onto flights, in at least one case halfway around the world, on the off chance that he needed to consult them. Vital decisions were held up while he struggled to make up his mind, frequently demanding more pieces of information that merely delayed the final result. The fate of the government seemed to hinge on the psychology of one man." Politics is already quite a challenging and thankless profession. I can only imagine the difficulties of working in an environment and culture described by James. Like politics, working at a startup involves working long hours in a fast paced environment testing new ideas many of which don't work out. As in politics it's critical for startup founders to be able to make quick and effective decisions, help employees prioritise their work so they're only working on the most efficient tasks and not wasting their time, and thanking everyone for the work and sacrifices they make. Failure to do this in a startup will see a loss of support amongst employees as Kevin Rudd has lost the support of his ALP colleagues. 2. Lessons from Julia Gillard - inspiring leadership is required to keep everyone engaged. From all accounts Julia Gillard is a much more effective manager than Kevin Rudd. She's achieved a lot in her short time as Prime Minister with the passing of a Mining Tax, putting a price on carbon (both of which Kevin Rudd couldn't get through) as well as significant education, disability services and water reforms. 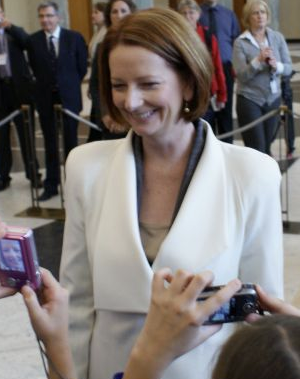 What Julia Gillard has failed to do is inspire the Australian people. Her preferred Prime Minister rating is significantly lower than Kevin Rudd's and more importantly Tony Abbott's. When I speak with friends and family who don't follow politics closely the most common complaint about Julia Gillard is that she's uninspiring and doesn't represent our country well. It's a sad fact that part of the reason given is related to her accent and appearance, issues that should be minor in the context of what's at stake in choosing a leader for our country, but I think it also reflects a lack of understanding of what she actually stands for, so this is the easy thing for people to fall back on as a reason. She's failed to deliver a clear, consistent and inspiring message and has arguably failed to always act out her values via some less than inspiring moves in refugee and marriage equality policies. From all accounts she's inspiring 1:1 and in small groups, but hasn't been able to inspire at scale. Like politicians, startup founders must inspire the people around them. Employees must feel inspired to join and work effectively in your startup, your first customers must be inspired to buy from an untested company, journalists need to be inspired to write about you to get PR and investors need to be inspired to trust their money to you. The number of people to be inspired only grows as the startup grows and as in politics, eventually this inspiration must be done at scale, not just 1:1 and in small groups. Some of the key tools for a founder to inspire the people around them are a clear and consistent vision, mission, values and elevator pitch. These need to be delivered not just verbally but culturally and in the way things are done in your startup. Julia Gillard has struggled in getting her message across to the Australian people, it's important not to do the same in your startup. 3. Lessons from the last week - ensure your management team are on the same page. The biggest beneficiary from the turmoil in the Labor Party over the past week will be the coalition. Comments from Kevin Rudd that 'Julia Gillard had lost the trust of the Australian people' and accusations that the way she came to power means she's never really had this trust in the first place provide great fodder for the coalition come the next election. For the Labor party's sake, hopefully their MPs can now rally behind Julia Gillard, but significant damage has already been done. Similar disunity within the founding team at a startup would be devastating. Stakeholders like employees, customers and investors don't want to see disagreements in strategy and direction aired publicly. A certain amount of debate around strategic and operational approaches is healthy, but these discussions should be kept private and only shared where relevant rather than aired in public as the ALP have done. What other lessons you would take from the events of the last week? Image credit 1 & 2. Cross posted to Startupsmart. He sounds like a nightmare, wondering how he even got to PM because surely leading a team to an election victory took great leadership? Great post mate, just clicked a switch for me. I'd just love to get betting inspire and engage people more. I'd love to make Competition Runner more inspiring. Would you say this blog post is inspiring? If not what would make it inspiring. Typo: I'd love to get better at inspiring and engaging people.